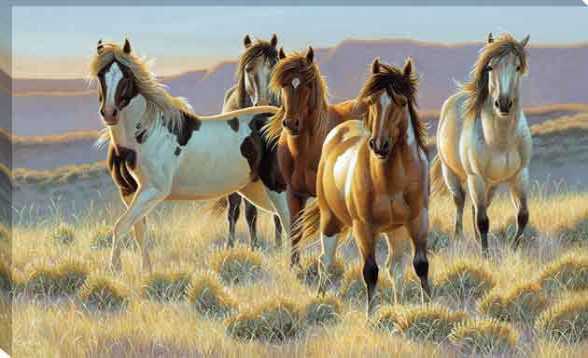 A group of horses in a western field with long manes. This picture is a gallery wrap canvas. We are a wholesale art manufacturer and supplier to the trade only.